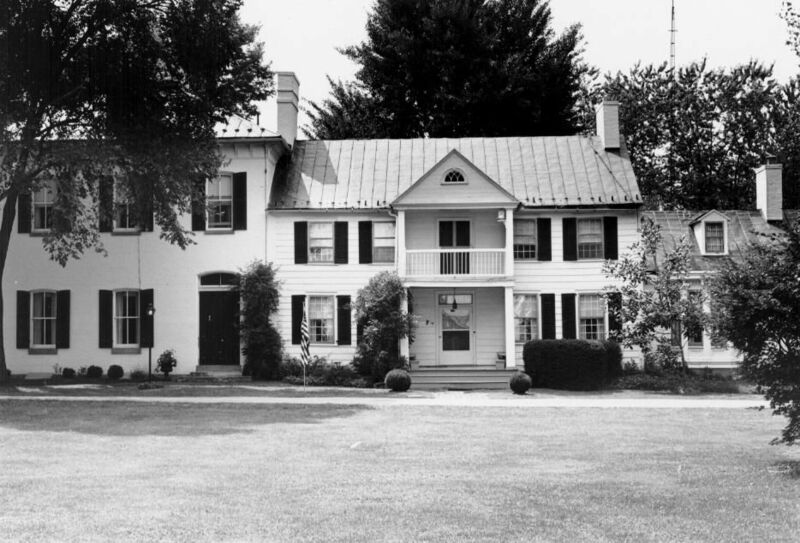 For the next year and a half, until he was exchanged for a British officer captured in the Battle of Saratoga, Williams faced an ordeal that would continue to haunt him for the rest of his life. Initially treated as a gentleman because of his officer status, the first few months of his imprisonment passed in relative ease. The ease of the beginning months of his captivity was the norm for officers taken in civilized 18th century viewed warfare. Williams’ early imprisonment showed the gentleman status he had attained through his rise in the military ranks. During this time, an anecdote reinforces this point. While in prison in New York, he became acquainted with a Major Ackland of the British military. The two became fast friends. Williams, under the auspices of his imprisonment, was able to move freely through the city of New York with this new friend.The friendship was confirmed when after dining with Major Ackland he was invited to attend an assembly. This was the term used to describe a fashionable ball of the period. When arriving at the ball, the reception that Major Williams received was so contemptuous and full of scorn that it attracted the attention of Major Ackland who replied: “Come, Williams, this society is to ill-bred for you and me; let us go home.” The account shows the personable demeanor and gentlemanly qualities that Williams espoused. This quote only tells half the story. The other half of the account transpired after Major Ackland returned to England that makes this story so worthy. Upon Ackland’s return to England attended a mass dinner and one of the topics broached was the questionable courage of the American military. The major defended Americans so vehemently that he was issued a duel by a fellow British officer. This led to his demise, with a fatal gunshot wound to the head. To defend the abilities of Americans to such an extreme depicted the immense respect and valued friendship that blossomed between the two officers. Along with showing the respect and admiration that constituted the friendship was the fact that Williams reached a level where he could fraternize with gentlemen of pre-war higher social classes. In addition he was an amiable companion and a worthy military adversary in the views of British counterparts. 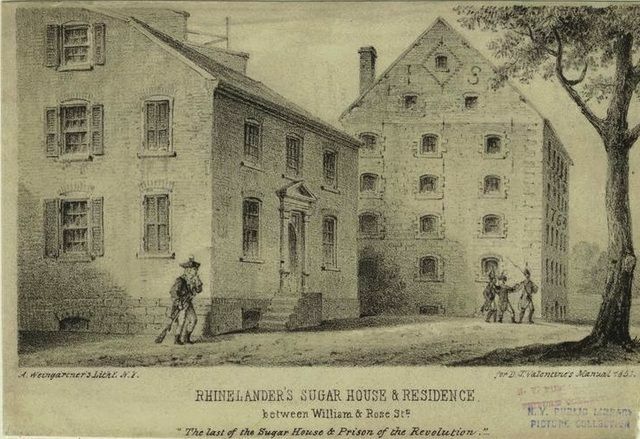 A sketch of one of the prison complexes used in New York City by the British to house American soldiers. The imprisonment of Williams took a drastic turn to the worse when an accusation of espionage surfaced against him. According to the General Phillips, the commandant of New York, Major Williams was in the habit of communicating to General Washington all the information to be collected from the British camp by means of emissaries employed for that purpose. Williams was seized as soon as the accusation was leveled against him and was denied a chance to provide a defense or refutation of the charges. He was placed in the provost jail in New York, in a room about sixteen square feet. The prison cell had poor ventilation and was best described as “disgustingly filthy.”Here Williams languished for approximately eight months; the last of the fifteen months he was a prisoner of war. Although the spying was never verified and for all intents probably a false accusation, Williams’ “naturally fair constitution…was much impaired” by this ordeal. After his exchange in January 1778, Williams took command of the 6th Maryland Regiment and Williams would see action at Monmouth Court House in the summer of that same year. Williams headed south with the Maryland Continentals to aid the Southern Department and relieve the American garrison at Charleston, South Carolina. Unfortunately, the American reinforcements arrived too late to lift the siege. The reinforcements did make it in time for another American military disaster; the Battle of Camden. Plucked as adjutant general for Horatio Gates, the American commander, Williams was powerless to stop the route of march that Gates chose to move the American army from North Carolina to South Carolina. The condition of the troops, fatigued from the march along with other difficulties, mixed with very limited rations would prove fatal tomorrow to the American effort at Camden. What ensued the following day was the death of General Kalb, the lost of over 1,000 American soldiers, and the ruin of Gates military career as a field commander. The way the battle unfolded would haunt Williams for the rest of his life, which was recorded in a written component for the Papers of Nathanael Greene. He remembered how the “great majority of the militia fled without firing a shot.” This was a significant issue because the militia comprised two-thirds of the total force of Gates! Williams, along with the survivors were left to question the reasons behind the campaign, the strenuous marching, and the condition they were led into battle with. Williams took part in the strategic move north across the Dan River in Southern Virginia, part of Nathanael Greene’s strategic maneuvering in the face of British Lord Charles Cornwallis’ British forces. Able to recuperate and refit his army across the watery boundary from the British, Greene planned the strategy that would lead Williams and the rest of the Americans back to North Carolina and to a place called Guilford Court House. After serving a stint as a commander of light infantry, Williams played a pivotal role in the March 15, 1781 Battle of Guilford Court House. Serving in the last line, where other Marylanders of the 1st Maryland Continentals played a decisive role in saving Nathanael Greene’s American army, Williams helped lead the rear-guard away from Guilford Court House. Williams would continue to serve admirable in future engagements at Hobkirk’s Hill and Eutaw Springs. 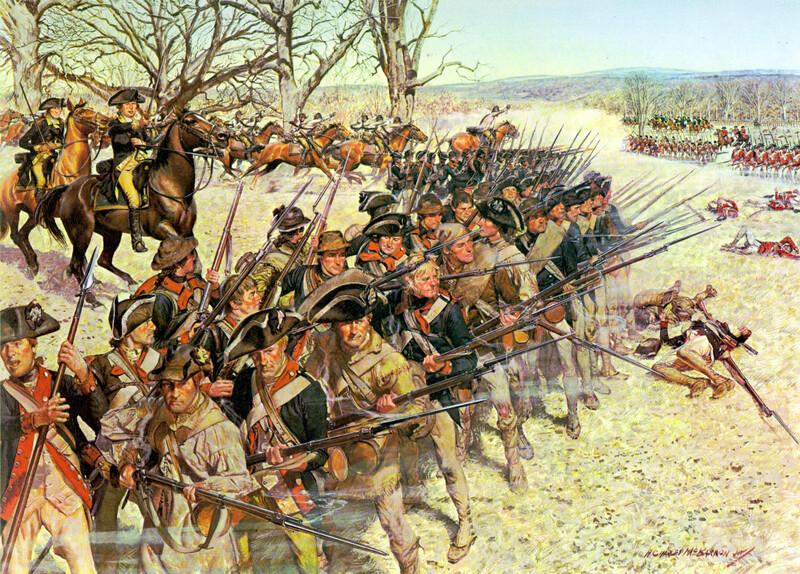 In the later stages of 1781 Williams was given command of the 1st Maryland Regiment, the same unit that the famous painting below depicted at the Battle of Guilford Court House. In January 1783, Williams received notice that Congress had approved his promotion to brigadier general on account of his merit and service in the Southern Theater Campaigns. Approimately halfway through that same month, on the 16th, Williams retired from the army. After almost eight years of arduous service, Williams, like the nation he helped create by his service was a changed being. The changes were numerous, first being the obvious, that he had shown tremendous progress in climbing the officer ranks, from lieutenant in 1775 to brigadier general in 1783. Secondly, and possibly the most important he had endured through numerous campaigns and some of the bloodiest battles of the war, from Fort Washington in New York to Camden in South Carolina. Williams return to civilian life saw him appointed as commissioner of the Port of Baltimore and he was active in the Society of Cincinnati, the society created to preserve the fellowship of former officers of the American army during the Revolution. In 1786 Williams married Mary Smith and became a father to four sons, settling on the banks of the Potomac River where he tried his hand at farming. With his friendship to George Washington, Williams had his appointment as commissioner of the Port of Baltimore renewed and then in 1792 was approached by Henry Knox, Secretary of War in Washington’s administration (and at the behest of Washington) to see whether he would accept a commission as brigadier general in the regular army. Although the position would have made Williams the second highest ranking officer in the military, he declined the position because he had no ambition for the position and also his health was poor. Williams died on July 15, 1794. He was 45 years old. His health never recovered from the strains of imprisonment and the fatigues of war. The town of Williamsport, Maryland, which would play a prominent role in the Gettysburg Campaign of 1863 was named after him and where he was laid to rest. This entry was posted in Revolutionary War, Uncategorized and tagged 1st Maryland Continental, Camden, Dan River, Guilford Court House, Horatio Gates, Lord Charles Cornwallis, Nathanael Greene, Otho Holland Williams. Bookmark the permalink. Great article. The southern army had some great officers. I hope you continue with this theme and tall about officers like John eager Howard and Robert Kirkwood. Thanks for reading. Stay tuned, the series on “Greatest Leaders” will continue!